I really love my rabbits! Even though I raise them for meat as well as show and fur, I am a firm believer that every rabbit should be shown the same tender care and attention, no matter what they are raised for. 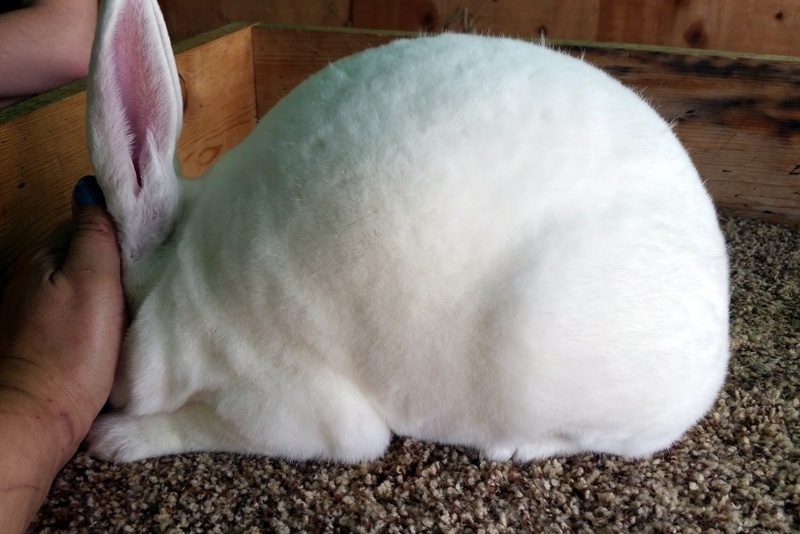 Rabbits are my primary 'livestock' here at Edelweiss Ranch & Rabbitry, and I raise Rex in Seal, Sable, Californian, White and Red. With litters and grow outs, I typically have between 40 and 150 rabbits at any one time with litters. 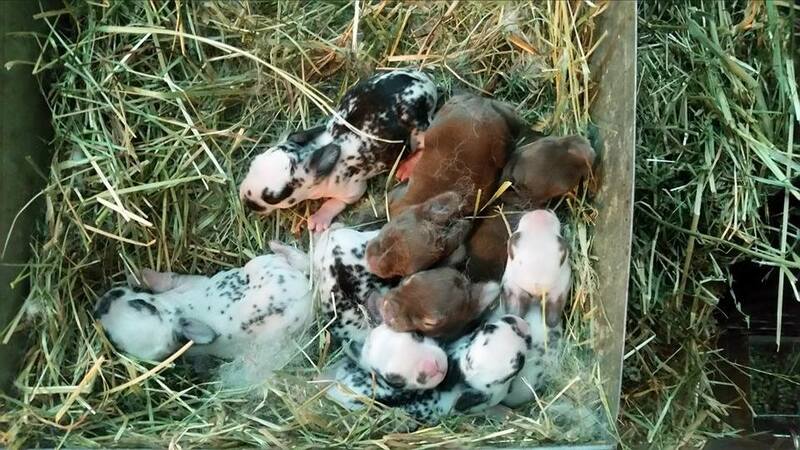 I have approximately 30 rabbits I keep as breeding stock. 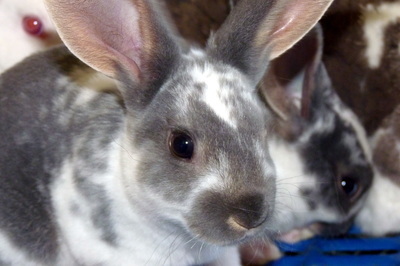 The Rex Rabbit breed originated in France in 1919. Their unique, dense, plush, velvet-like fur, caused by a mutation seen in wild rabbits in France in the late 19th century, is a recessive gene that causes the hair to protrude outwards from the body rather than lying flat. It also causes the guard hairs to be short, equal in length to the undercoat. 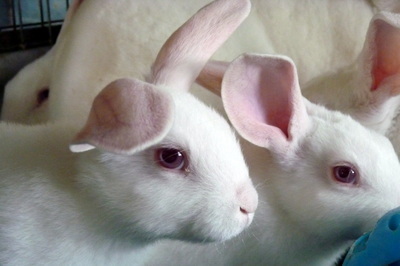 Rex Rabbits are kept as pets, show rabbits, and for fur and meat production. 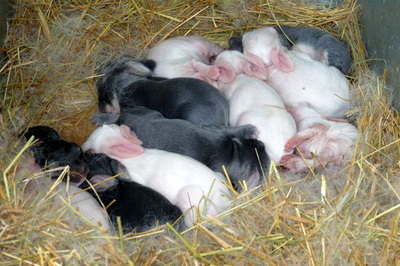 They are very good-natured, affectionate and sweet, and because of this, they are often used as foster mothers. 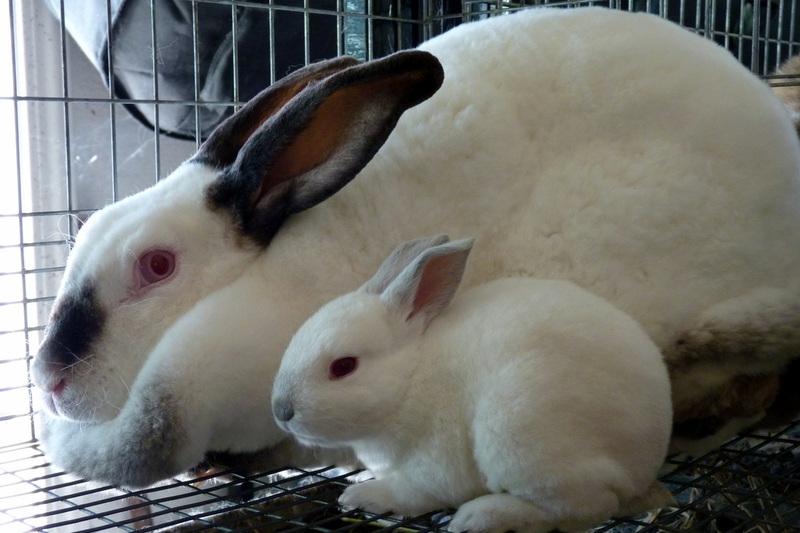 Due to their intelligent, playful and relaxed nature, Rex Rabbits are often described as being “cat-like.” Rex Rabbits are not one of the more popular commercial breeds because they are believed to be a bit smaller and have a lower meat-to-bone ratio than many other breeds. I have found that with a strict breeding program, my Rex are outperforming most of the other breeds I have raised (New Zealand, Californian, Champagne d'Argent and Argente Brun). I have a restricted rabbitry, which means that I do allow some visitors but do have restrictions. Please contact me to schedule a day and time to come out. Also- be sure to check out our Rabbit Resources using the tab above!